Emanuel Cancer Center is a modern, state-of-the-art facility and fully accredited by the American College of Surgeons Commission on Cancer in recognition of its stellar quality of treatment and care. This accreditation is only awarded to approximately 20 percent of cancer programs in the country. In fact, the Commission recognized the Emanuel Cancer Center program in all eight areas of excellence for which they score. We are a three provider group with a very rare opening for another Hematology Oncology Specialist. Our model offers employment through a large state wide Foundation Medical Group which provides a full relocation, salary and benefits package along with a productivity incentive. You will be joining with an existing patient base/case load, and have the pleasure of working with a very collegial group and a supportive staff in a team oriented work environment. Located in the heart of California’s Central Valley, Turlock is the second largest city in Stanislaus County with a population which has grown steadily from 14,000 in 1970 to over 70,000 today. Cultural art experiences, sports activities, twenty four parks, sixteen schools, a full range of medical facilities and the attractiveness of the nearby Yosemite National Park, San Francisco Bay area and the Sierra Nevada add to the pleasure of living in Turlock. We are interested in someone seeking a long-term career opportunity. Must be BE-BC with CA license or in process and have excellent references. Please send CV for immediate consideration. 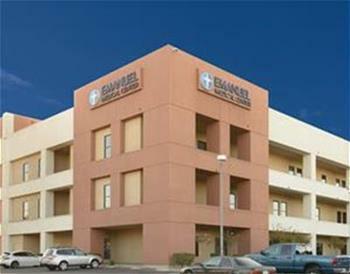 Emanuel Medical Center has been the heart of healing in Turlock since 1917, dedicated to providing safe, high-quality healthcare with compassion to the patients we serve in Turlock and nearby communities. Emanuel is a community hospital built on care where every employee is committed to providing personalized care for each of our patients. We provide all traditional hospital services, including emergency, critical care, birthing, pediatrics, cardiology, surgery, imaging, laboratory, rehabilitation, and community education. Emanuel has made substantial commitments to robotic surgical platforms in the last two years. We offer cutting edge Orthopedic services including NAVIO, a robotic knee replacement platform as well as Arthrex, an imaging tower that provides state of the art images in real time to support the surgeon. Most recently, EMC acquired the daVinci Xi robotic platform with table motion. This technology will support more colorectal and complex surgeries, and offers patients the numerous benefits of minimally invasive surgery solutions. Emanuel offers diagnostic and interventional cardiac catheterization, permanent pacemaker implantation, interventional vascular procedures and optimal digital X-ray imaging. Part of Emanuel's cardiovascular services program includes our state-of-the-art Cardiac Cath & Interventional Lab, which allows cardiologists, radiologists and vascular surgeons to perform a number of minimally invasive procedures that were formerly unavailable in Turlock. EMC is Chest Pain with PCI accredited by the American College of Cardiology (ACC). Our facilities also include the Emanuel Cancer Center, providing advanced technology, patient-focused care and support services. The center proudly houses Stanford Emanuel Radiation Oncology Center, a joint venture with Stanford Medicine and Stanford Health Care, Ruby E. Bergman Women's Diagnostic Center and a thriving medical oncology practice. Emanuel has also brought new primary care services and family doctors to the community.